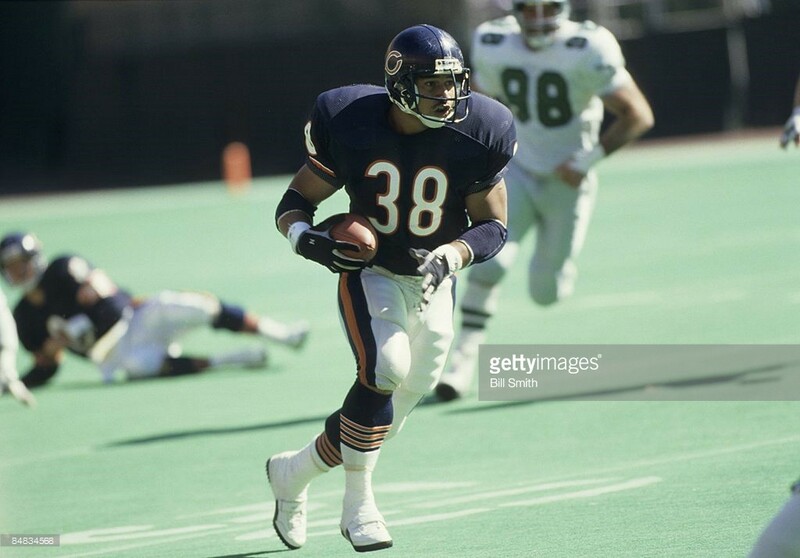 Lakei Heimuli at 22 years old playing for the Chicago Bears in 1987. So back in the day, the Chicago Bears trained at the University of Wisconsin-Platteville where Geep’s father George was Head football coach and Athletic Director. Every year the rookies either had to sing their school fight song, or be a part of the talent show — that season’s talent show was sponsored by United Airlines and the winner of the rookie talent show would win two round-trip tickets to anywhere in the United States. Lakei and the other rookies were paired up, my dad partnered up with James, a california kid who played at Michigan. James came up with the idea to do a Blues-brother routine singing I’m a Soul man. Unfortunately, as everyone would soon discover, speaking in public is my father’s nightmare.. forget about singing. The music in the auditorium starts, players and staff start clapping and the California kid rolls out onto the stage dancing and looks off to the stage… no Lakei. Lakei had no interest in that, he was a ghost. James tries to call an audible, and turn it into a sort of Blues brother routine but it didn’t work. Unfortunately, he did not win tickets. But you know.. if only he’d known that Lakei Heimuli was so shy, Jim Harbaugh — the Michigan quarterback from Palo Alto High School probably wouldn’t have let himself be left hanging on stage during the NFL rookie talent show.